We have been running our nurseries in South Tyrol and Verona for more than 25 years. That means 25 years' experience growing apples. We are happy to pass on this wealth of experience to our customers so we can support you in getting the best possible yield for your company. 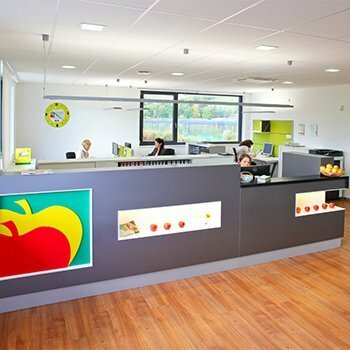 In addition to support in selecting the perfect variety of apples, we will also be delighted to help with technical matters, the creation of orchards and the organisation of machinery and materials. We can make use of a diversified network of partners who can give you practical help. Our service includes prompt processing of your order as well as a punctual delivery. And even after the purchase is complete, we are there for you at all times and are happy to help with planting your saplings. If you have any problems with your trees, we will look for a solution together. 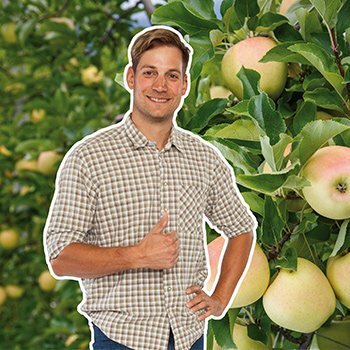 For us as a nursery, your apple growing success is our priority! One important aspect of quality assurance is the correct delivery of our high quality plant material to our customers. The trees are perfectly prepared for transport in our cooling cells. With our own company lorries, we take the trees to our two delivery depots in Lana (South Tyrol) and Cles (Trentino). For trees to be exported, we ensure plant-specific shipping and take care of all customs formalities so you can receive the goods in perfect condition and without bureaucratic obstacles. New pictures, videos or Livestreams – on Facebook we will offer you more detailed information! We will answer your questions concerning your apple production.